Projectization (I'm sure this is a new word!) of every task assigned is in vogue in every corporate! Gantt charts are simple tools to represent the project schedule and status. There are many types with various degree of complexity,however, a simple and easy Gantt chart can be created using excel. How long it takes to do? 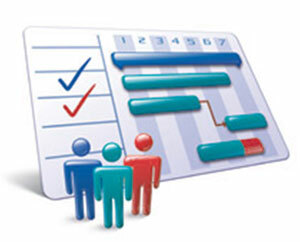 I have provided a week wise planner and also day wise planner to accomplish this tracking of "Projects".